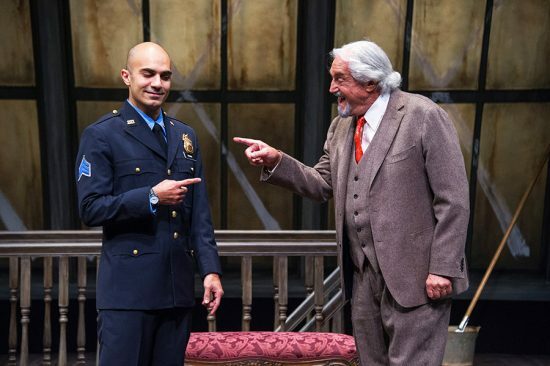 Maboud Ebrahimzadeh as Victor Franz and Hal Linden as Gregory Solomon in ‘The Price’ at Arena Stage. Photo by Colin Hovde. “The Price” at Arena Stage is beautifully realized in its staging and casting. The story concerns a 46-year-old man, Victor (Maboud Ebrahimzadeh), who goes to the house he and his father had once shared to dispose of the contents. Over the course of the story, he is joined by the used furniture dealer, Gregory Solomon (Hal Linden), his wife Esther Franz (Pearl Sun), and finally his brother, Walter Franz (Rafael Untalan). Over the course of an afternoon, old wounds are exposed and chances to understand, and ultimately, to heal, are given, withdrawn, missed and accepted. Not everything has a happy ending. Gregory Solomon’s price for the furnishings are the catalyst that drives the characters to face their demons and choose how to move forward. …old wounds are exposed and chances to understand, and ultimately, to heal, are given, withdrawn, missed and accepted. “The Price” is an Arthur Miller play, set in 1968, and produced on Broadway four times; it was nominated for two Tony Awards that same year. This production is set in the attic the deceased father and Victor lived in after the family lost all their money in the Depression. It makes full use of the stage, with piles of period furniture and accessories piled up on the sides, and in the middle the old man’s favorite chair and ottoman, table, lamp and Victrola. Victor enters first, touching objects and removing the dust sheets from select pieces, including a gilded harp. He plays a record or two, the scratchy songs evoking memories. He is joined by his wife, Esther, who is impatient and uncomfortable in the space and just wants things to move along so they can go to the movies (the tickets cost an unheard of $2.50 each at the time). Victor has tried unsuccessfully to reach his brother Walter, to whom he has not spoken in years, several times Esther tries to persuade him that that means that Victor should not split the proceeds with Walter. Walter is a highly successful doctor and Victor, who has a genius-level IQ, is a New York City cop. At the end of the first act, Walter shows up in a very expensive camel-hair coat, a devastating counterpoint to Victor’s uniform in Esther’s eyes. All the actors inhabit their characters fully. Through their dialogue with each other, they create a push-pull dance as they snipe accusations at each other and then pull away from too much truth. Over the course of the play, new realities are revealed and their reactions further reveal their beliefs about duty and happiness. They do this expertly. Hal Linden as Gregory Solomon is the linchpin of the story. His observations are made self-deprecatingly until he senses that someone is being treated unfairly when he becomes a lion. His is a nuanced performance that shows the power of forgiveness and the possibilities of healing–after all, Gregory Solomon is nearly 90 years old and has had his share of losses and heartbreak, and he understands all too well the prices we pay for our decisions. Maboud Ebrahimzadeh portrayal of Victor is heartbreaking in his reactions to the family treachery he learns about. It is a pitch-perfect depiction of a good man coming to terms with decisions (a word used very often by his brother) that he had known nothing of, and yet which impacted his life so deeply. Pearl Sun as Esther is a woman who longs for more and is torn between a feeling of shame at her husband’s job and envy at the brother’s seemingly never-ending upward trajectory. As Walter, Rafael Untalan has a hard job. He is a man seemingly without a core who tries to subvert his brother to his beliefs, then, when faced with his own less-than-perfect reality, cannot accept it. Untalan embraces this character fully and elicits a deeper sorrow than it seemed possible. At times the pacing of the story was almost too stately, although perhaps it was inevitable that with the arrival of Walter Franz, the pace would pick up as the tension escalated. You could see the shifting loyalties among the three family members; it was uncomfortable and raw, although at times became repetitive. 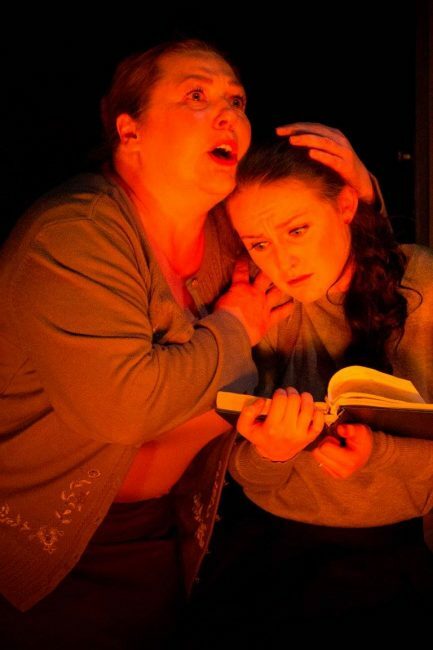 The story did not have the firebrand qualities of some of Miller’s other plays and did not seem to engage the audience as fully. The set design by Wilson Chin anchors believably the story in time and place; it is impeccable in its realization of a time and period. Seema Sueko directs the story with grace and a deep respect for the eternal struggle in finding a way to forgive and heal, and a sense of sorrow and compassion for those not at that point yet. Running Time: 2-1/2 hours with intermission. “The Price” is running from October 6-November 12, 2017, in the Kogood Cradle at Arena Stage, 1101 Sixth Street, SW, Washington, DC 20024. For tickets click here or call the box office at 202-488-3300.